This past week has been a flurry of activity between Apple and the U.S. Justice Department about unlocking an iPhone used in the San Bernadino terrorist attack. It is a profound question, and not a new one. Apple’s response so far has been consistent with the brand bond it has with its loyalists… that the relationship with consumers takes precedence. In the New York Times, Eric Lichtblau and Matt Apuzzo cite that Apple’s refusal “appears to be based on its concern for its business model and public brand marketing strategy” rather than a legal rationale. They are partially correct. Apple knows that it is in the “relationship” business… and will, at all costs, defend that relationship with its consumers. In a recent post, we focused on “Why Authenticity Matters”. As we wrote, “Authentic brands do what they say. Their behavior is consistent with their promises”. Apple is being true and authentic to its very reason for being. In the face of the immediacy of a legal challenge, it has deferred to its brand before compromising. There is no question that this issue is complex. From a technical and legal standpoint, opening up the code could set a significant precedent that could have broad impact across many companies with strong intellectual property as a basis for their differentiation. 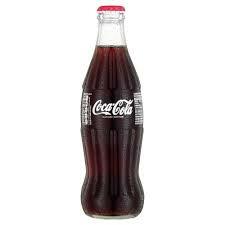 Imagine some people being poisoned by drinking Coca-Cola and the company being asked by the Justice Department to reveal it’s 130 year-old, secret formula for the purposes of helping in a criminal investigation. This example isn’t as emotionally loaded as dealing with a terrorist situation, but the precedent is similar. On the other hand, any way the authorities can gather information to thwart terrorist activities is a good thing to do. So this becomes a thorny problem. There is no question that Apple needs to find a way to help the Justice Department without compromising its bond with consumers. Reading between the lines, both Apple and the Justice Department have essentially acknowledged this. The question is how to provide this information while protecting the Apple brand. I am confident, once the bluster dies down, this will be accomplished. “What really drives customer loyalty?” is a straightforward question that many CEO’s are asking themselves. 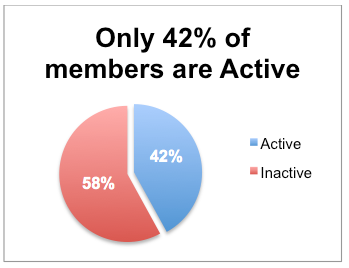 A popular response is to employ a loyalty program. This is not necessarily the right answer. – The airline industry alone in North America earned $9.6 billion by selling miles to partners in 2013. 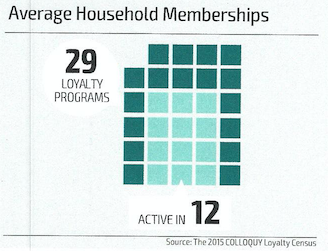 Loyalty programs are big business. 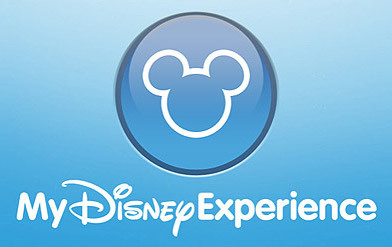 The recent announcement about Disney raising admission prices at theme parks to over $100 per day points to an important benefit of very strong brands… they can price higher and maintain upwards momentum. Brands that provide extraordinary quality and a unique experience have enormous leverage to price higher. Said another way, it is possible to raise prices without much of a consumer push-back. Brands Have Become a Critical Factor in Successfully Expanding into the U.S.
High growth globalizing companies often find it difficult and unprofitable to enter the U.S. and other developed markets. To achieve the turnover and ROI they seek, they are finding that it is the brand asset that differentiates an offering and drives higher margins and profitability. Particularly for companies in China, India, Brazil and other high growth countries, successfully expanding their global footprint is an enviable objective, but more difficult to achieve than ever. Many seek to minimize risk and expand with a price entry. However, unless corporations recognize and act upon the importance of building strong “brands”, they will most likely fail to achieve their U.S. objectives. Access to skilled labor forces, technology, and strong distribution channels. Kellogg’s Rice Krispies famous “Snap, Crackle, Pop” was introduced in 1933. According to a radio ad of the time, “Listen to the fairy song of health, the merry chorus sung by Kellogg’s Rice Krispies as they merrily snap, crackle and pop in a bowl of milk. If you’ve never heard food talking, now is your chance”. It’s arguably the most famous of all brand sounds but there are other great examples of brands that have used sound as a differentiating brand communicator. The well-researched thud of BMW’s door closing is a deliberate effort to communicate quality and a premium positioning. Smart marketers are looking at all aspects of a brand to create a memorable brand experience. Since the 1970’s, most markets are flooded with essentially parity products. The result is a quest for marketers to find ways to drive home differentiation and make their brand more memorable and unique. This is a mandatory in today’s competitive marketplaces. Sound is one key aspect of some brands that can make a significant difference, and it is often over-looked. Salvaging Yahoo!… it’s all about Culture. The press about Marissa Mayer, the new Yahoo! CEO, has focused on whether she is up to the task of reviving the company and the difficulties she will face with a declining business and less than ideal resources. While this may be true, the real challenge is whether Ms. Mayer can recapture the original, organic, innovative culture that made Yahoo! so popular in the first place. This is the engine of brand success today. August 9, 2012 Comments Off on Salvaging Yahoo!… it’s all about Culture. The Wall Street Journal feature about the Mac landing on more corporate desks is more than just an opportunity… it is a tectonic shift that will open up the business market for Apple in amazing new ways. It is truly a tipping point of amazing proportions. If I were you, I’d buy Apple stock today… believe it or not, it’s just a leap to another plateau. 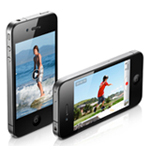 Will the Apple Brand Take a Hit for it's Poorly Performing iPhone 4? Not in the Long Term. How will Tesla Position its Luxury all-Electric Car? Tesla Motors is scheduling an IPO to raise more capital and complete development of an all-electric car that will eventually sell for $50,000. One issue they need to contemplate is how to position the new car in the marketplace that already has a plethora of environmentally friendly hybrid offerings.